Its Happening Now!!! 10am to 2pm today. 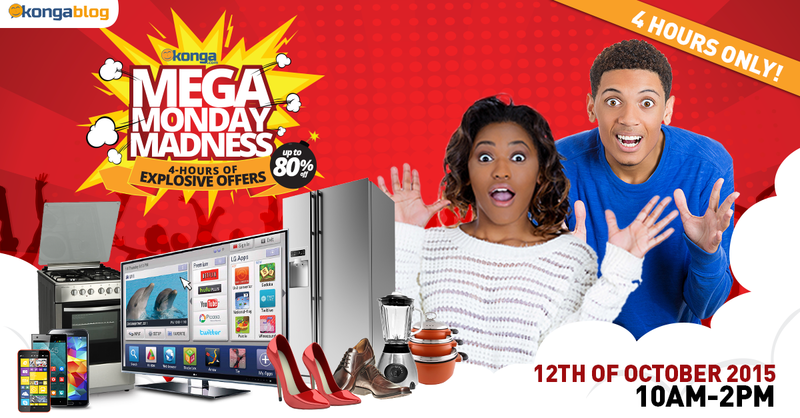 Konga.com is making your wish come true in the Mega Monday Madness! Today for just five hours, you’ll have access to shop all those items you’ve had your eyes on for a while! Fashion outfits that flatter, durable electronics, latest gadgets are up for grabs at up to 80% off.. to explore our independence store and see all the liberating lifestyle products to shop. Five hours is a very short time so we can assure you items will disappear very quickly so make sure you are there today 10am - 2pm because it’s MAD- Monday Amazing Deals! This is one Monday you’ll certainly be happy about! Click here to be part of the experience.